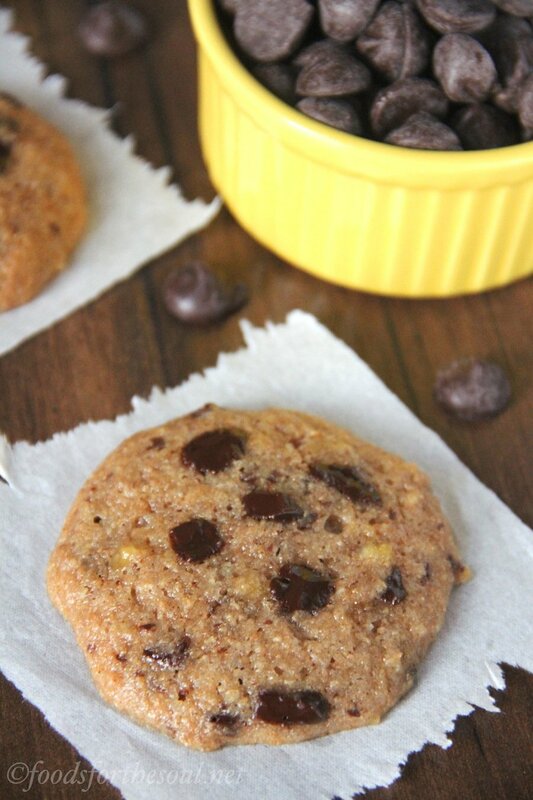 Soft & chewy banana oatmeal cookies with lots of melty chocolate chips. Pure bliss for any chocoholic—and they don’t taste healthy at all! One summer, my family and I flew to Wisconsin to visit my dad’s old college roommate and his wife. As very gracious hosts, they played tour guides for our entire vacation and drove us to all of the little gems in the area, including Laura Ingalls Wilder’s house (I grew up reading those books! ), the historic Trempealeau Hotel with their infamous walnut burgers, and boating on the Mississippi River like Huck Finn. All of that driving meant that my parents filled up the gas tank on our rental minivan fairly often. Nearly every morning before the rest of us woke up, they navigated through the sleep streets to the nearest gas station to fuel up and purchase the daily newspaper. On one of those trips, my dad impulsively brought a loaf of banana bread to the cash register along with the paper. Back at the house, he and his college roommate carved off thick slices to share around the breakfast table. I politely declined, somewhat skeptical of gas station banana bread, and stuck with my yogurt and cereal, but the two of them insisted on offering me a pieces multiple times throughout the meal. By the end of our trip, it almost became a game: Buy gas station banana bread and see how many times we can offer it to Amy before she gives in. I good-naturedly went along with it, but with willpower like nobody in my family had ever seen, I held out for the entire vacation. To this day, nobody in our family can look at banana bread without thinking about that gas station! 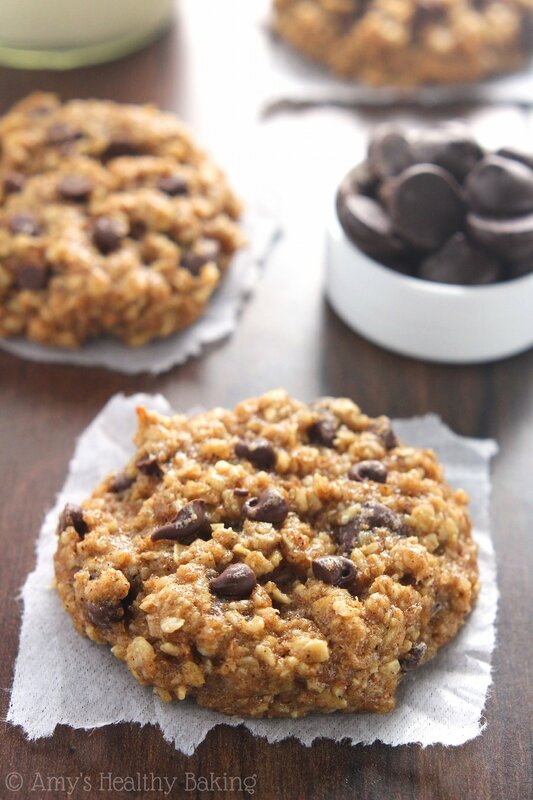 However, if they had offered me these Chocolate Chip Banana Bread Oatmeal Cookies, it would’ve been a completely different ballgame—and not just because they’re homemade! Soft and chewy with oodles of gooey melted chocolate, they’re much healthier and absolutely irresistible! 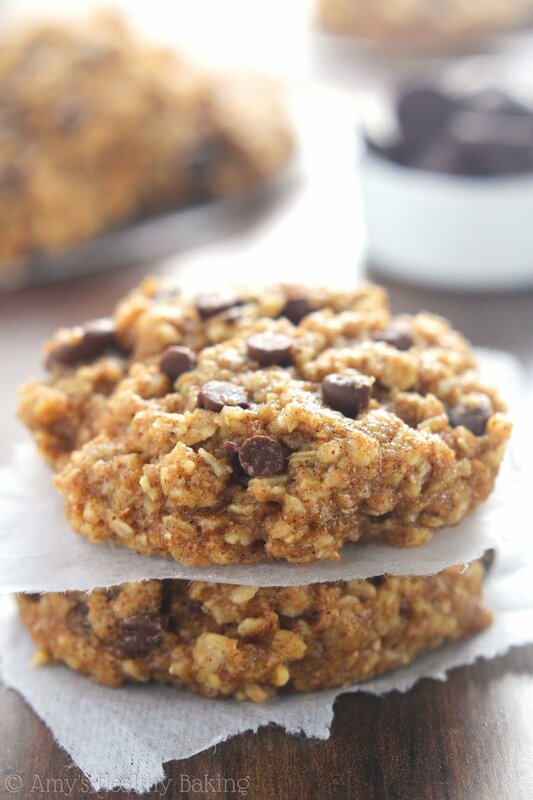 These little beauties are the next installment in my clean-eating oatmeal cookie series. We’ve done blueberry, raspberry, apple pie, and carrot cake (plus lots more! ), but these… They’re the first ones that involve chocolate and no other mix-ins. Surprising, seeing how much of a chocoholic I am! 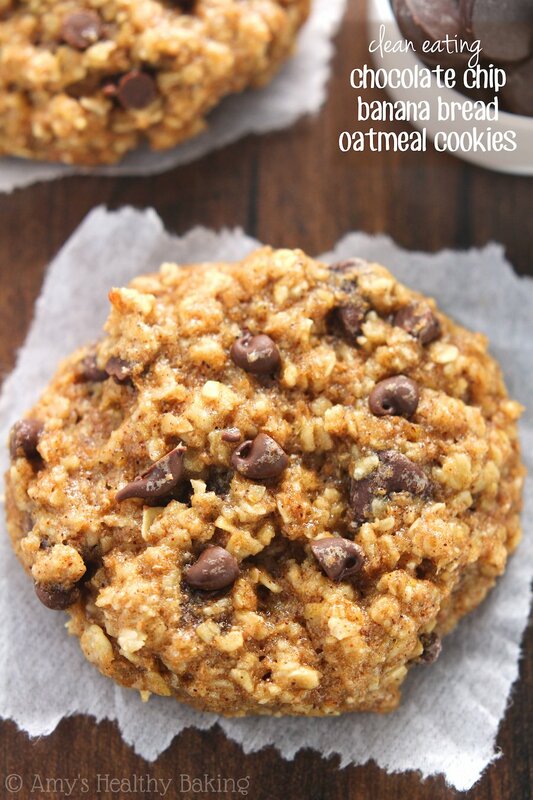 The main difference between this recipe and the rest of the oatmeal cookies (besides the chocolate, of course!) is that these do NOT require chilling. In fact, I insist that you don’t! I used mashed banana to provide the iconic banana bread flavor and replace the egg. Because mashed banana contains a lot less liquid than eggs, the dough is firmer as soon as you mix everything together compared to my previous oatmeal cookie recipes, so you don’t need to chill it to make the dough stiffer. And that means you get to eat cookies half an hour sooner! To maximize the chocolaty goodness, I added both mini and regular chocolate chips. The mini chips ensure that every bite contains chocolate, and when you hit a big, melty regular chip… Well, I basically thought I’d died and gone to heaven. I highly recommend that you try microwaving a cookie for 7 seconds, just enough to warm it up and start the chocolate melting again. Pure bliss. And definitely much better than gas station banana bread! 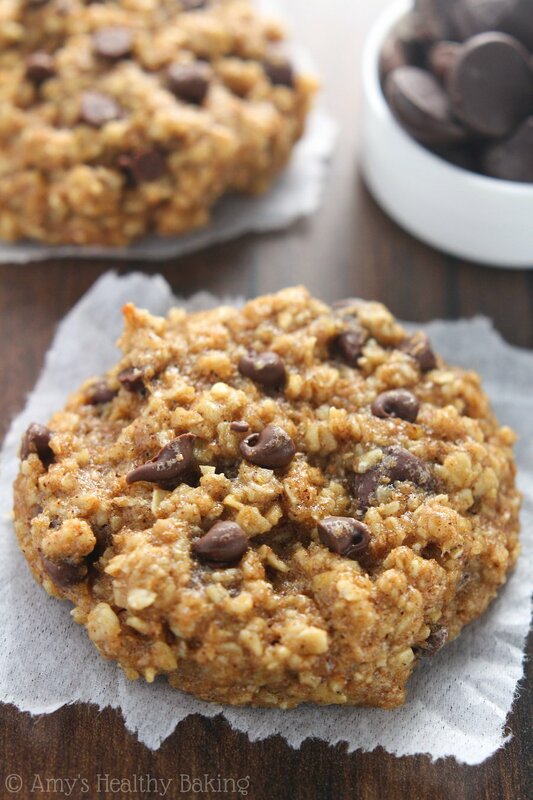 These oatmeal cookies are supremely chewy and full of chocolate chips! They’ll stay soft and chewy for an entire week if stored in an airtight container—if they last that long! Whisk together the oats, flour, baking powder, cinnamon, and salt in a medium bowl. In a separate bowl, whisk together the coconut oil or butter, mashed banana, and vanilla. Stir in the agave. Add in the flour mixture, stirring just until incorporated. Fold in all of the regular chocolate chips and 1 tablespoon of miniature chocolate chips. Drop the cookie dough into 15 rounded scoops onto the prepared sheet, and flatten slightly. Press the remaining miniature chocolate chips into the tops. Bake at 325°F for 13-15 minutes. Cool on the pan for 10 minutes before turning out onto a wire rack. Notes: It’s extremely important to measure both the oats and flour correctly using the spoon and level method or a kitchen scale. Too much of either will dry out the cookies and leave them bready instead of chewy. If your cookies turn out bready, you can also add 2-4 tablespoons of milk to the cookie dough along with the sweetener to make them chewier. Instant oats are also known as quick-cooking or minute oats. They come in large canisters, just like old-fashioned oats. They are not the ones in the small flavored packets of oatmeal. If you don’t have instant oats, measure the same amount of old-fashioned oats, and pulse them in a food processor 7-10 times. Chopped dark chocolate may be substituted in place of the chocolate chips. Honey or maple syrup may be substituted for the agave. Alternatively, ½ cup (105g) brown sugar + 5 tablespoons (75mL) milk may be substituted as well. The baking time stays the same. For a gluten-free version, use gluten-free instant oats and a gluten-free flour blend. 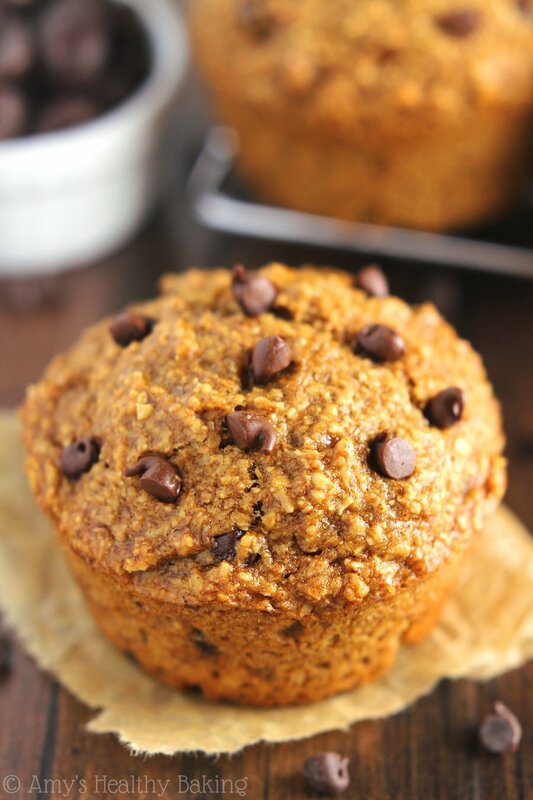 I recommend the following blend: ½ cup (60g) millet flour, 2 tablespoons (15g) tapioca flour, 2 tablespoons (17g) brown rice flour, and ½ teaspoon (2g) xanthan gum. I made these cookies for my book club and they were so good! My kids had the leftovers for breakfast this morning. 🙂 Have you ever made them with peanut butter? I love peanut butter and chocolate and banana together, and I was thinking that might be a nice option to add in sometimes if I am looking for more protein. 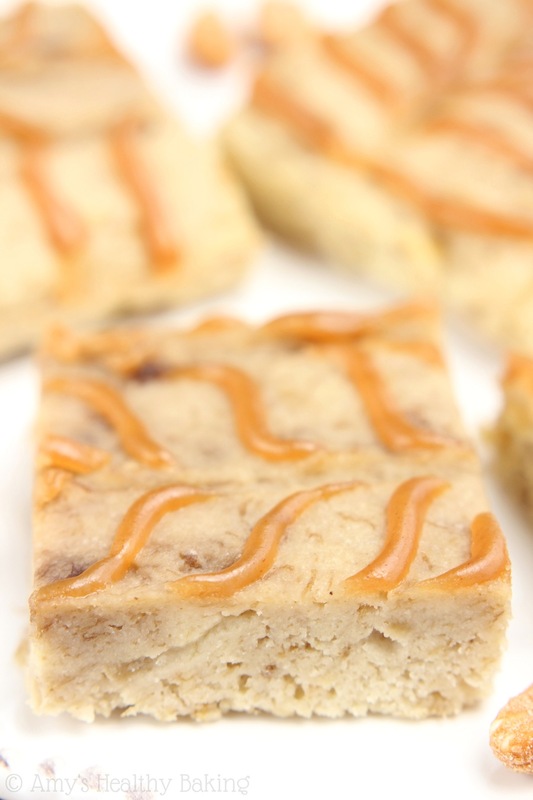 I know I would need to adjust some things in the recipe….maybe melt the peanut butter (I use natural peanut butter so it is already less thick than the sugar-added kind anyway) and do 1/4 agave, 1/4 peanut butter? I would love to hear any thoughts you might have! I’m so glad everyone enjoyed these cookies Patti! 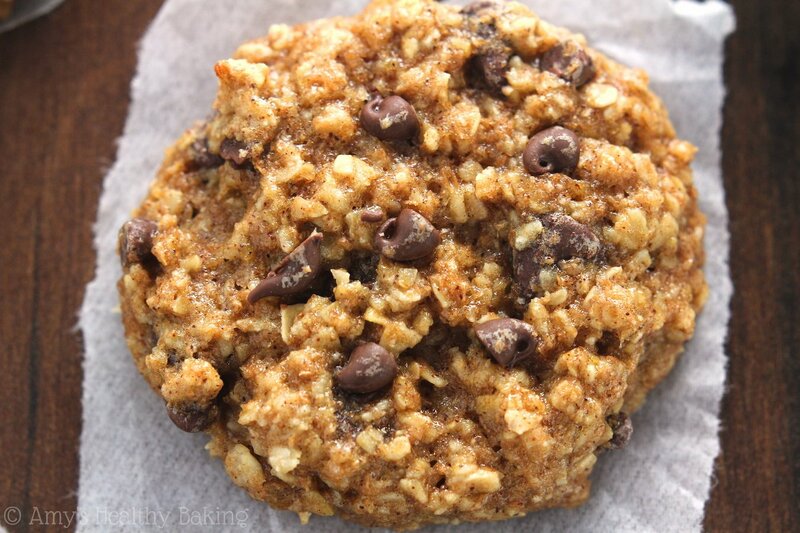 I’ve made regular chocolate chip peanut butter oatmeal cookies without the banana, and you can find that recipe here. You can probably make a hybrid of these two recipes. (Although peanut butter only adds a minuscule amount protein, if that’s what you’re concerned about! It mainly adds healthy fat. 🙂 ) I’ve also made chocolate chip peanut butter banana cookies (no oats) here. I’d love to hear what you think if you try either of those! Hello! I was wondering if you have a calorie count on these per cookie ? Just curious . Only because I ate like 3 of these and my husband ate the rest , they were sooo good ! Thank you ? I’m so glad you both enjoyed the cookies Traci! That means a lot to me! 🙂 The full Nutrition Information is actually included beneath the recipe. It can be easy to miss! I made these cookies as a double batch , everyone ate them during a football game. None left over . Need to make more I guess.